Amidst all that excitement in the inter-schools rugby tournaments there was another significant factor that could not be dispelled or forgotten. At center stage of the schools rugby arena there was a young man from Kingswood College Kandy, a former rugby player of the school, clubs and Sri Lanka national, later the coach who guided three schools to many an accolade and now a true professional guiding the Blue and White jersey St. Joseph’s College rugby team to their new destiny. He is young champion rugby head coach Nilfer Ibrahim the undisputed name in the rugby arena that has stood tall for almost over two and half decades as a player and a head coach. Today Nilfer has made a name for himself in the rugby coaching field since he got involved with his Kandy town school Dharmaraja College Kandy as a coach in 2007. 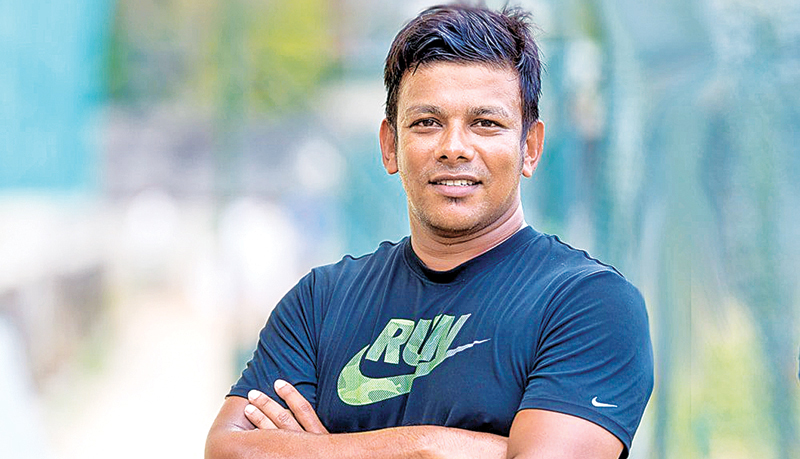 Now Nilfer has scaled another mountain by proving his coaching acumen for eight years in succession by grooming and guiding Trinity College Kandy, Isipathana College Colombo and St. Joseph’s College Maradana to a new high in rugby by winning the ‘Milo’ inter-schools knockout rugby titles. He has won the schools knock-out title four times, runner-up three times and now is in a position to either win or end runner-up at the 2018 knockout final where he is the coach of St Joseph’s College who will meet traditional rivals St Peter’s College in the final at Racecourse grounds on June 30. It is a truly a worthy record which stand tall among the rest.